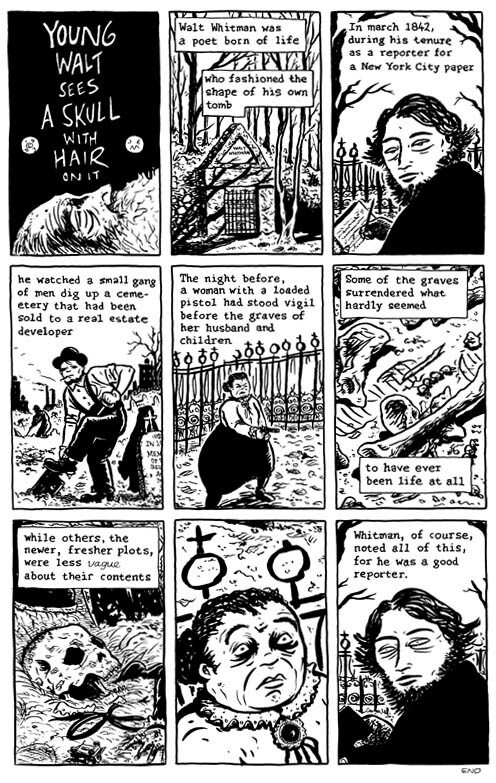 A one-page comic, starring a young Walt Whitman, from the first issue of my mid 90's Black Eye Productions series, A World of Trouble. Art area is 8" x 12 1/2", india ink on bristol board. NOTE: Art is close to edge of board, but is framable.